You are here: Home / Make Money / Is it really possible to make an extra income online? I have no knowledge of nutrition or effective exercise, but If I claimed to be able to show you how you could lose weight or build muscle with little or no effort would you be ready to hand over your hard earned money in the hope that I could give you a quick fix, for some the answer would, without doubt, be yes. That’s not me and that isn’t how I want to make money online. I want to add value to readers of this blog and with it hopefully, show that there is a better way to manage their relationship with money. I’m not a financial expert, just an average Joe looking to find a better way of making money while enjoying what I do. There are a lot of blogs out there that give advice about taking surveys, selling unwanted stuff online and getting paid to surf. These are definitely ways that you might be able to make a little extra to top up what you have already coming in from other sources but I question the return that you might receive from the effort that you put in. The thing is if you’re anything like me you want to be able to earn enough online to make a living that frees you from the daily grind and frustrations that working for someone else brings with it. Now I know that it is unlikely that I will be the next Mark Zuckerberg, Jeff Bezos or Pierre Omidyar but earning a living online must be a possibility for those that are willing to put in the effort. What are my ideas for making money online? It’s unlikely that anyone that has got rich from their own efforts has done by only have one source of income and I have no intention of putting all of my eggs into one basket. Making money is tough and enough of it to change your life even harder, but with determination and a lot of hard work, I don’t see any reason why it can’t happen. Initially, I’m going to focus on making money through Money for Monday, seeing what I can cut from my life that offers no benefit and seek out opportunities to invest. My plan to make money from Money for Monday. Blogging isn’t something that will make you rich overnight and it certainly won’t allow you to give up on the rat race, but who knows, something else might come from it that enables me to do something that I truly want to do. I have no doubt that there are some out there that blog just for blogging sake of making money and will jump on any opportunity that pays them enough, they might have no real passion for what they are writing about and no desire to offer value to their readers. So what the opportunities for the blog to make money? Selling other people’s products or services for a small commission. Signing up to Tradedoubler, Affiliate Window, Affiliate Future and CJ Affiliate. As my readership grows and I find my writing style and I write more posts, these will be linked to from credible sources online and as a result, increase my domain authority. My domain Authority (DA) might then tempt those brands, that can offer value to my readership and collaborate with some posts. 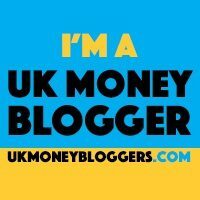 I don’t want to be one of those blogs that stick advertisements everywhere, not only are they annoying but I feel somehow takes away from the message that the blog was set up for and that is to not only help others with their financial journey but mine too. I want Money for Monday to be a brand in itself and with it build trust amongst those that find my content useful. In doing so, they will sign up to the newsletter to be updated with posts and reviews and allow me to promote those items that I believe will genuinely offer value.